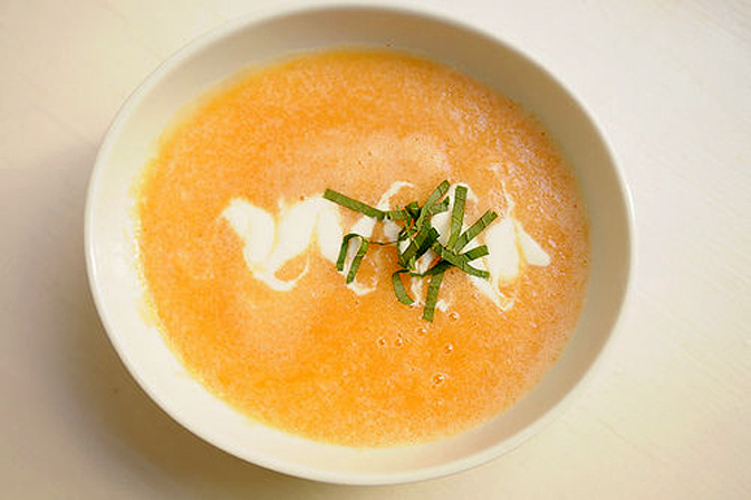 Get out your spoons—these soup recipes will keep you cool and satisfied all summer long. No one likes to be put in a box. Just because you like to wear slippers around the house on the weekend doesn’t mean you’re not ready to party with your friends on a Wednesday night. Soup is the same way. It’s sick and tired of being confined to the cold and dreary months. Soup is stepping out into the summertime and declaring, once and for all, that it’s not just a winter food. Soup knows how to have fun. Soup knows how to wear sunglasses and drink margaritas by the pool. These 10 recipes have got on their SPF-50 and are ready for the sun. They’re refreshing, light, and—best of all—easy to make. 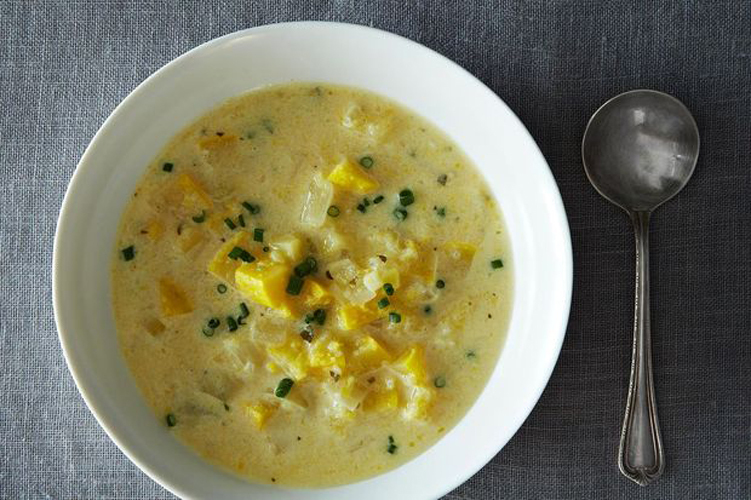 Get out your spoons—these 10 soup recipes will keep you cool and satisfied all summer long. 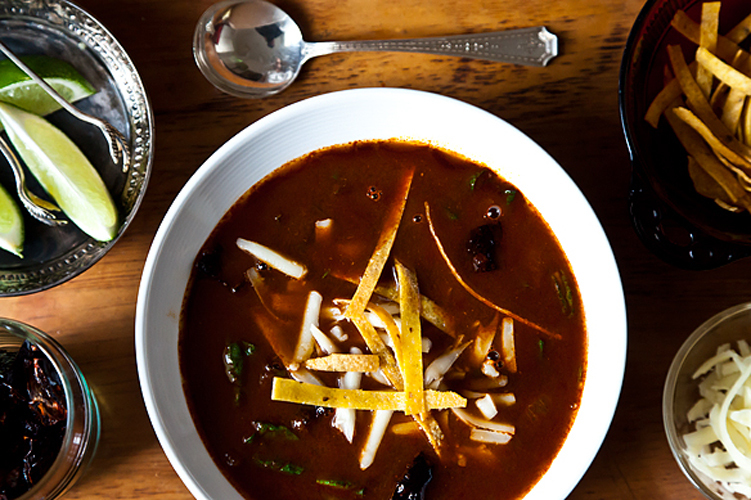 Rick Bayless’ Tortilla Soup with Shredded Chard. We know you’d rather be in Mexico, sipping a margarita or trekking through a rainforest. But when that’s not possible, the next best thing is eating a smoky, dark tortilla soup that’ll have you at least feeling like you’re south of the border. Get the recipe. Tarragon Lemon Summer Squash Soup. Squash grow like weeds in the summer. They’re cheap, they’re everywhere, and there’s no ingredient fresher or more seasonal. That basically means you have no reason not to make this straightforward, simple soup. Go get your ladle. Get the recipe. 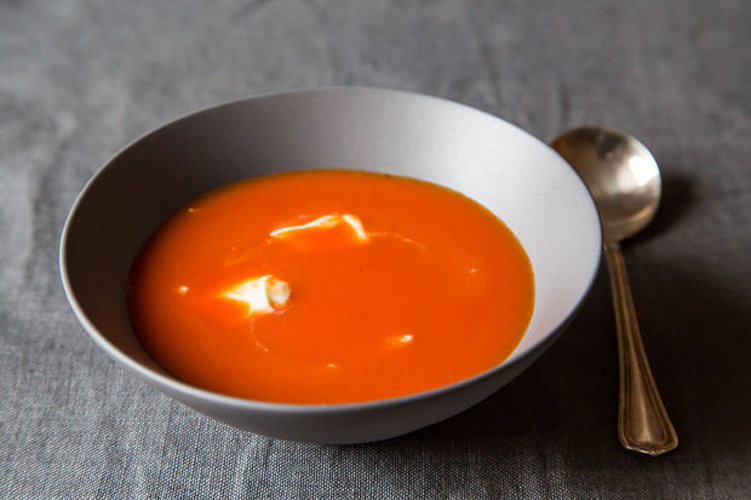 Barbara Lynch’s Spicy Tomato Soup. Even if you won’t admit it, you’re still a kid at heart. And sometimes kids just want tomato soup. But don’t eat it out of the can. This version is infinitely better and made with 5 ingredients that are already in your pantry. And as long as you’re being a kid, make a grilled cheese to go with it. Get the recipe. Chilled Cantaloupe Soup. Don’t get freaked out by fruit soup. This one isn’t too sweet or one-dimensional. It’s got enough spices and acidity so it tastes like a soup, not a smoothie. Plus, it comes together in 5 minutes and is served ice-cold—the perfect end to a long, hot day. Get the recipe. 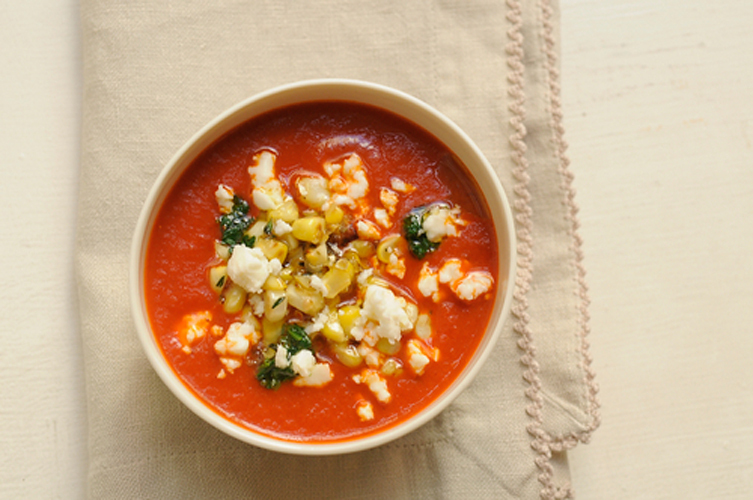 Roasted Red Pepper Soup with Corn and Cilantro. If you took all of your favorite summer ingredients and combined them in a soup, this would be it. Actually, this would be better than that. All of the vegetables are roasted in the oven, which brings out all of their deepest flavors. Now you’ve got summer in a bowl. Get the recipe. 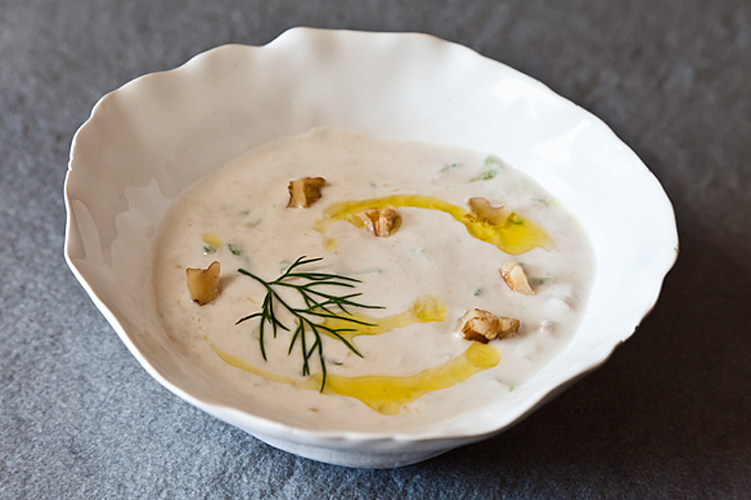 Yogurt Soup with Cucumbers and Walnuts. When it’s too hot to cook, yogurt is the answer. Add cucumbers, bread, olive oil, plenty of fresh herbs, and water, and—ba-da-bing, ba-da-boom—you’ve made yogurt into dinner. No cooking required. Get the recipe. 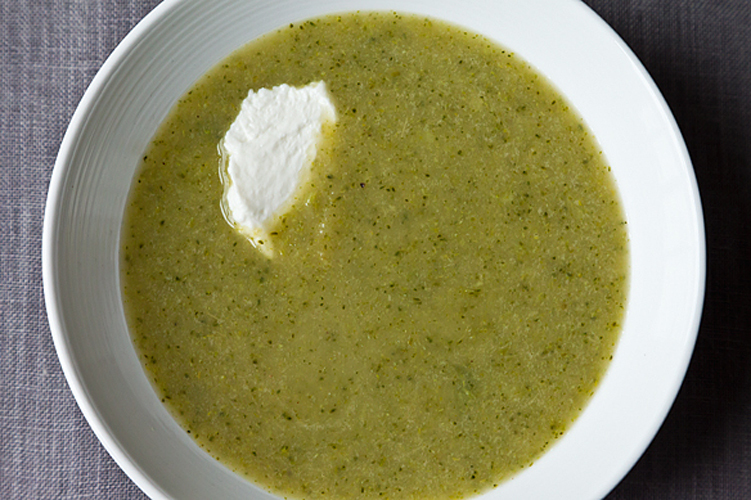 Broccoli Apple Soup. This soup covers all the bases. It’s easy, cheap, healthy, and delicious. Simmer five inexpensive ingredients together for 20 minutes, throw the mixture in a blender, and voilà, you’ve made a delicious, fresh soup in practically no time at all. Get the recipe. 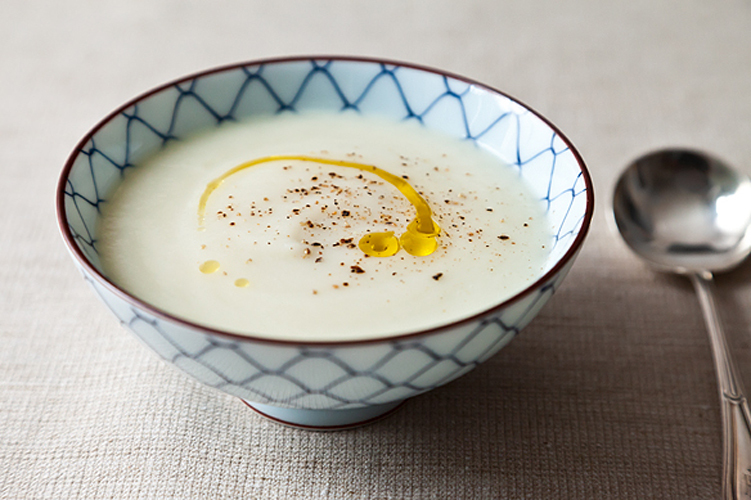 Paul Bertolli’s Cauliflower Soup. Here’s a trick question: what do you get when you combine a head of cauliflower, an onion, olive oil, and water? The answer is a slightly sweet, incredibly smooth and creamy soup. You’ll just have to try it to believe it. Get the recipe. 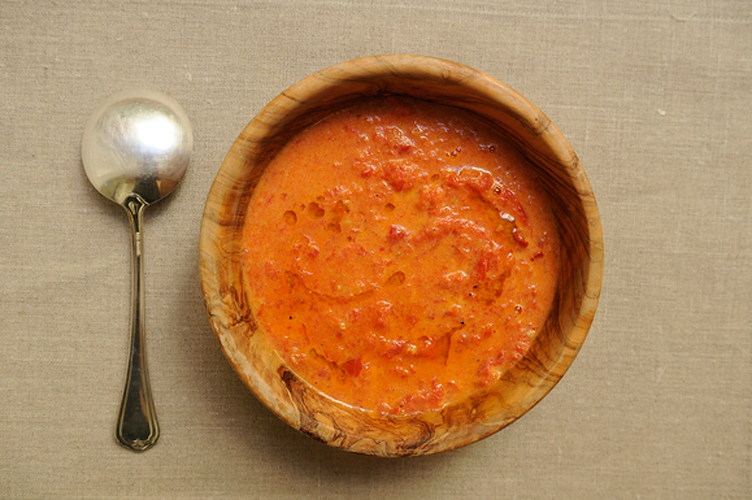 Cream of Roasted Tomato Soup. Tomatoes have a monopoly on summer produce. But that’s ok with us because they deserve it. And there’s nothing better to do with your fresh tomatoes than mash them into a dreamy soup and eat it with giant, crunchy croutons. Get the recipe. 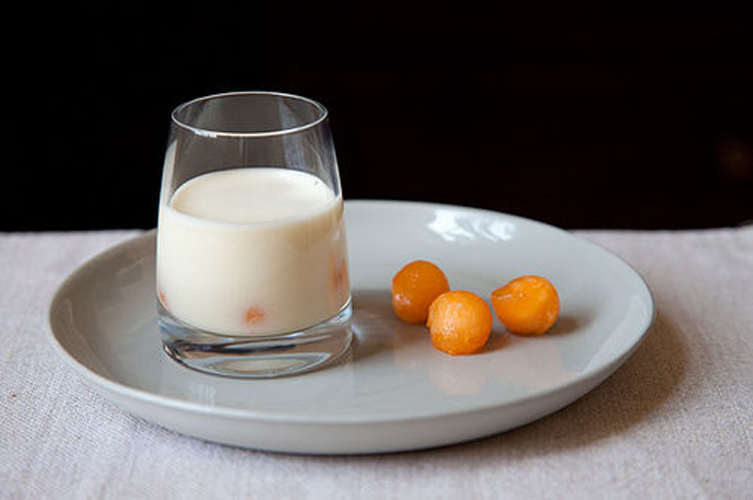 White Gazpacho with Cantaloupe. So you’re too hot to do any cooking. Don’t worry: in times like these, your food processor’s got your back. Once it’s done all the work grinding the ingredients into a creamy, refreshing soup, all you have to do is the let it chill. Let’s just say it’s a very chill soup. Get the recipe.